“I want to swim a lot in December.” I made that request to Hillary minutes after finishing Ironman Arizona, and even though the air was thick with a fantastic, yet dizzying post-amazing race haze, neither one of us forgot that request. I swam A LOT in December. I appreciate color-coding. Blue = Swim days. Red = No Swim days. It is no secret that swimming is a favorite past time of mine, but not necessarily an activity I excel at. That’s okay. Triathlon is one sport made up of three, and if one athlete can blow the roof off of all three, swim, bike and run, good for them, but for many of us, at least one out of the three is our weakest link. Mine is swimming. Honestly, I think I lucked out with swimming being my Achilles heel, because it is the first and shortest part of every triathlon race, and usually I catch most of my competition on the bike, or if not by then, I nab them on the run. However, the way triathlon is progressing, (most of the top triathletes are fast swimmers), I know that if I want to truly improve and move up the ranks, I need to become a stronger swimmer. Hence, my aforementioned request to my coach for DeSWIMber Camp. I am a believer in muscle memory and mental fortitude. In essence, doing the same thing over and over again until my body goes on auto-pilot and my mind zeros in on completing the task in the present moment. For example, I believe I finally got the hang of running marathons by my twenty-fourth, (yes, it took more than a few), because my body knew exactly what to do and my mind remained present, ticking off each mile one step at a time. I knew I could push myself and still handle the load; I would be fine, and I was. I trimmed ten minutes off of my personal best marathon time that race, and my point of view switched from, "I like to run long." To, "I like to run long quickly." Marathon #24, Santa Clarita, CA 2012. The same goes for swimming. I hope. I know that I have made small, yet vital improvements in my swimming over the last year, (I swam more than ever in 2017), but after my result at Ironman Arizona, I knew I couldn’t get by any more by just being a fairly decent swimmer, and good cyclist and runner; I needed to become a better than decent swimmer, strong cyclist and fast runner. Swim camp kicked off on December 1st. I swam nearly every day, some workouts felt great, some did not, but I held faith I was heading in the right direction and improving. I even survived seven days of swim-only workouts, which meant no running or riding at all, just swimming. I realize that may not seem like a big deal, but it was a BIG deal for me. Not only do I enjoy running because I am good at it, I love it! I need it in my life. I know that may be slightly obsessive, but it is what it is. However, I am pleased to report that I let go of my running dependency over those seven days and embraced the swim-only focus. The best part was that when I did receive the green light to run again, I didn’t miss a beat, because my lungs had ballooned to the size of the Goodyear blimp from all of the swimming. 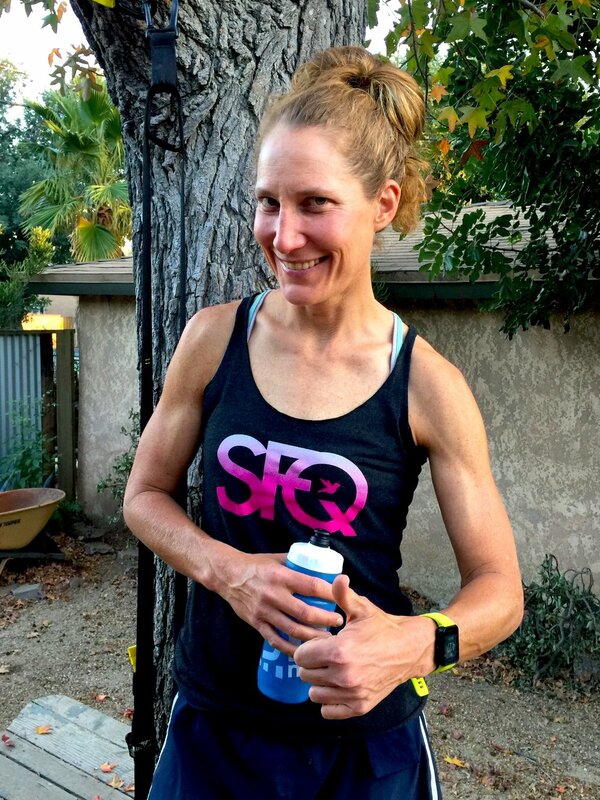 The fact is even though my improvements are slight in the water, and they are slight, the positive effects I have gained for my riding and running are tremendous. This cap was given to me by one of my swim heroes, Daisy. I only wear it for 10k swims. 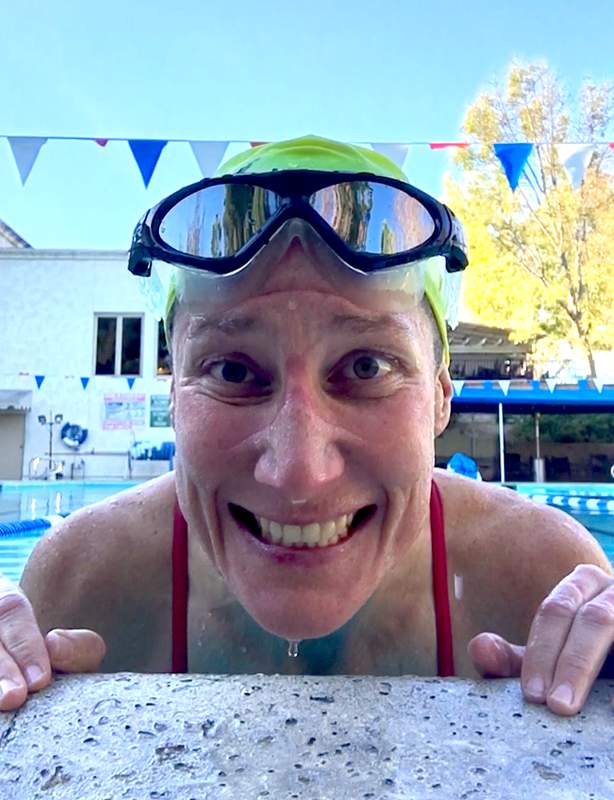 Unfortunately, leading up to my grand finale weekend I kept slipping on sets I should have hit, and felt like I lost my “zing” in the water, so imagine how I felt going into a two-day stint of swimming 17,000 yards… Ready to hit it! I was PUMPED! That is where I think the mental fortitude needed for endurance sports, or any challenging endeavor comes in to play, I knew I could do it; I just needed to show up and get it done. Sunday was New Year’s Eve, AKA my 10K date. This was my third time swimming 10,000 yards in a single workout, and it was the best yet. It was also the toughest of my three outings, I believe, but that is what made it so rewarding. The aftermath of my New Year's Eve 10k swim. You might think that would be it…. Nope. I still had one more strength-training workout to complete in 2017. This moment was captured right after I finished a rigorous 2-day period of upper body emphasized training. I have gone back and forth with my decision to include this photo because it does scream, “Hey, look at me.” Clearly, I did include it, because I believe now, and have believed my entire life that strength is beautiful. I have never been a girly, girl, and am pretty certain I never will be, so in this current climate of surging female empowerment, I am not going to shy away from the fact that being physically strong matters to me. Plus, my upper body went through the ringer over those two days, and earned some recognition for its effort. I truly enjoyed my DeSWIMber, and look forward to moving through water more quickly in 2018.